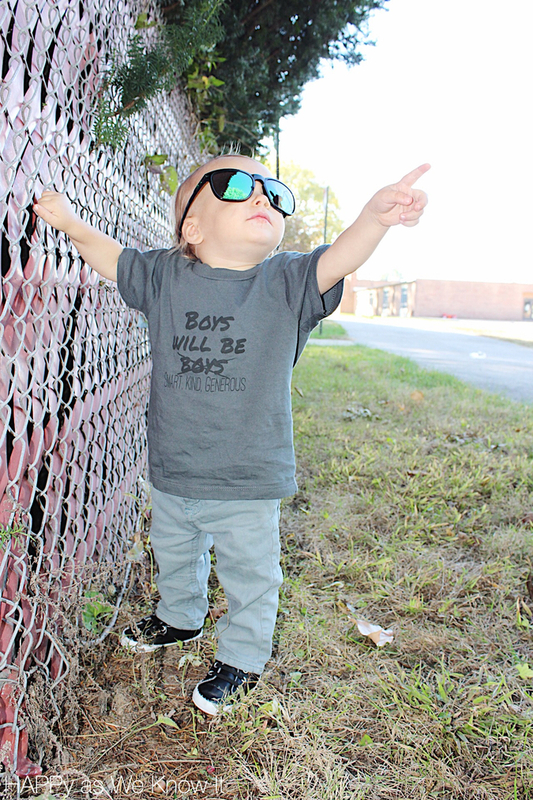 This post was written in exchange for a tee from Simple Little Apparel; however, all opinions are more own. I gotta admit that when we found out we were having a boy, I was bound and determined that I would ensure that he had equal part truck to doll ratio in his toy box and that he would have other colors besides blue in his closet. I wanted to be sure that he had books to read on a variety of topics, that he was able to explore his own interests (and not what I or the world dictated they would be) and that most importantly, he would learn to love the Lord and love on others the way God calls us to. 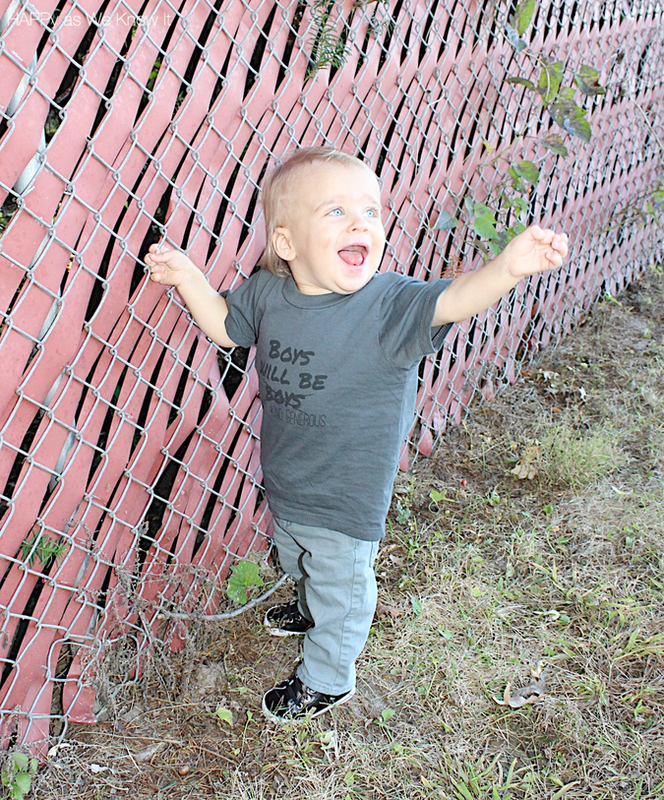 Flash forward, I now have an incredible and spirited, 17 month old (say what?) who is coming into his own and showing us all what he is made of. He is demonstrating his own unique interests and "free" will and along with that it is encouraging and challenging us as his parents at the same time to truly think long and hard about what it means to raise a little boy in this world. You see, despite all of my option giving, Asher still seems drawn to many stereotypical "boy" things. I'll admit, it actually surprised me how many of these things he was drawn to automatically without (known) influence from us or the outside world. Our little man loves seeing how things work. He loves building creations out of legos. He loves "vrooming" around with his toy cars and watching the garbage trucks pass our house each week. He loves pointing out daddy's tools in the garage, and loves reading the same book about construction machines each night when given the choice. From a worldly perspective, he is "all boy". But just like the stereotypical comment "you throw like a girl" and other similar ones referencing females, the mentality we've all heard time and again that "boys will be boys", just doesn't sit well with me. Using these statements first, imply that "all" of a certain gender act or are expected to behave a certain way. And second, when thinking specifically of this "boys will be boys" mentality, it appears that it can all too often serve as an excuse for misbehavior, claiming that it is simply just "typical" behavior for males. While even at his young age my son may enjoy doing many typical "male things", I am also doing my best to be conscious of the fact that we are not letting him get away with behavior that we may not otherwise had he been a girl, because "boys will be boys". I love what author Chimimanda Ngozi Adichie shares in her TED Talk, "The Danger of a Single Story". She states that "the problem with stereotypes is not that they are untrue, but that they are incomplete". That being said, yes, I am a woman, and yes, I probably couldn't pitch an effective ball to save my life. But that doesn't mean that if I worked at it and desired to do it, that would be the case. My little one is a boy, and he does love to knock down towers and be a little mischievous some times. But that doesn't mean that he also isn't capable of being kind and compassionate and of taking the time to think about how the decisions he makes may affect himself and others as he grows older. Again, it's not that I don't believe that there isn't some truth to the first version. But I do believe it is important that we don't put our children in boxes because of their gender. That being said, I am not oblivious to the fact that the world often already does this for them. And I am also not oblivious to the fact that there are inherent differences between us as males and females. But it is my goal as a parent to ensure that my child grows into the individual God has intended for him to be, and in order to do so he must not only have self-awareness but awareness of this world's underlying assumptions and expectations so that he can determine how to navigate them effectively. It is my goal that he knows that while sometimes we may make mistakes and even do things we aren't proud of, that these experiences teach us and we can (and should) grow from them. They are not something that we can simply brush off because society tells us because we are a man or a woman we can do so. It is my goal, above all, to raise a boy who becomes a man of integrity. A boy who will show the world just how smart, kind and generous boys can be. 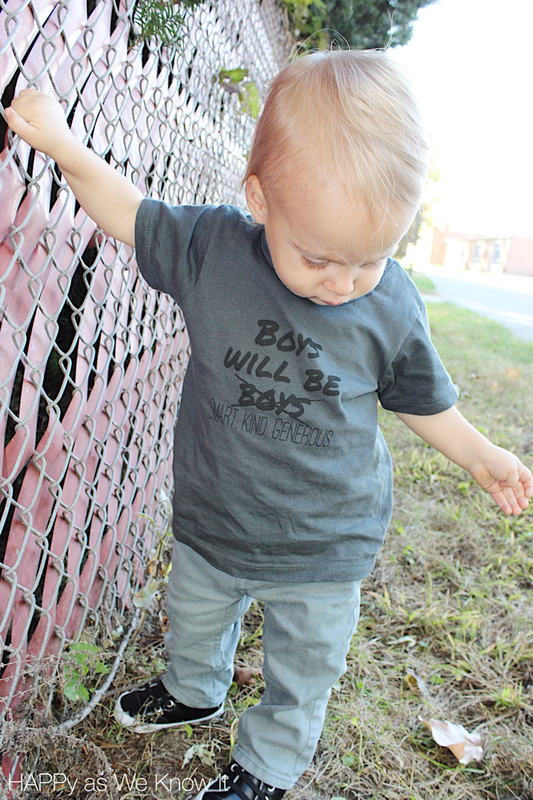 You can get your own sweet little "Boys will be.." tee by heading over to Simple Little Apparel. 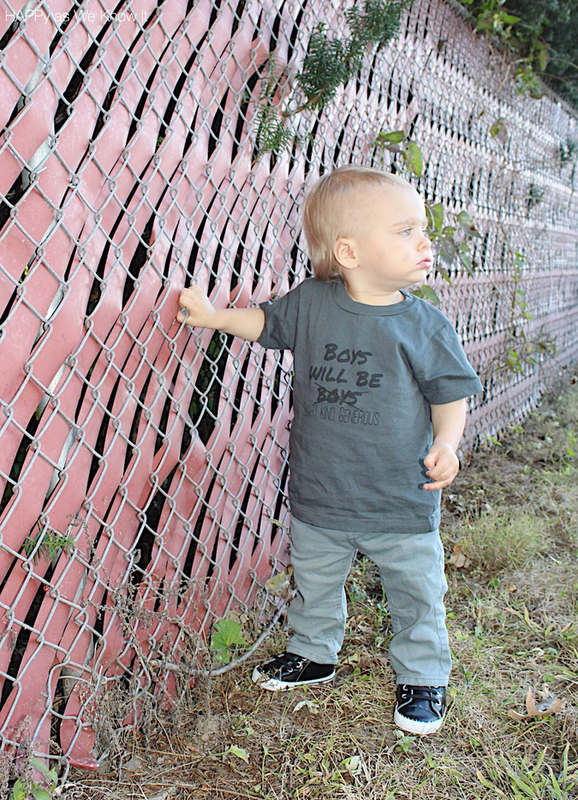 They have an assortment of other adorable tees for little ones to check out as well. This is such an awesome topic! I am too a boy Mom and don’t believe in boxing children. My son does boy stuff but he is also kind and compassionate. The shirt speaks volumes! I love this. I was the same way with my son (who's now four and SO "boy") but that doesn't allow bad behavior. You can be dirty AND respectful, and I expect nothing less.